Williamson was 200 not out as New Zealand posted a colossal 481-run lead when they called the innings off midway through day three in Hamilton. At tea, on a pitch that offered no help to the bowlers, Bangladesh were 56 without loss with Tamim Iqbal on 35 and Shadman Islam on 21. Big-hitting Colin de Grandhomme took New Zealand past their previous record score --- 690 against Pakistan in 2014 — with a huge six, one of five in his whirlwind innings of 76 not out. In a session and a half on day three, New Zealand smacked 264 off 45 overs with Williamson becoming the first New Zealander to post 20 centuries. It was his second highest score behind an unbeaten 242 against Sri Lanka in 2015. In his 71st Test, the New Zealand skipper also completed 6,000 runs, the fourth and fastest New Zealander to do so and with the highest average. After Bangladesh were rolled for 234 in their first innings, the New Zealand batsmen pounded the bowling for two days. Openers Tom Latham and Jeet Raval set the stage when they put New Zealand in front with a 254-run stand. 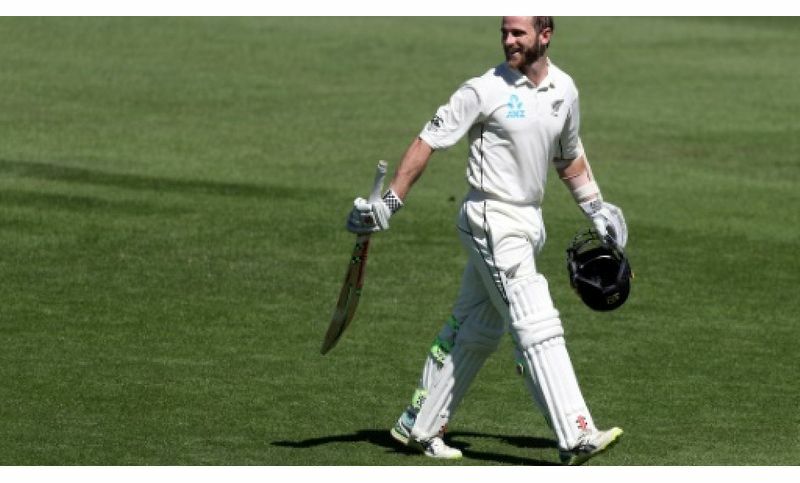 When Williamson reached 100 it became only the 13th time in cricket history, and the second time by New Zealand, that the first three batsmen had reached three figures. When resuming day three at 451 for four, Williamson was content to take a backseat as night watchman Neil Wagner blazed away contributing 47 runs -- 42 from boundaries -- in their 60-run stand. Soumya Sarkar was the most successful Bangladesh bowler with two for 68 while Mehidy Hasan also took two wickets but finished with the most expensive Test bowling figures in New Zealand with two for 246 from 49 overs.